Silkeborg Højskole is situated in the heart of Jutland right in the middle of the unique lake district, Det midtjyske Søhøjland, and is surrounded by small streams, lakes and forests. The school is a modern Danish folk high school, where we consider international participation to be an important issue, and each term we welcome students from various geographical and cultural backgrounds. 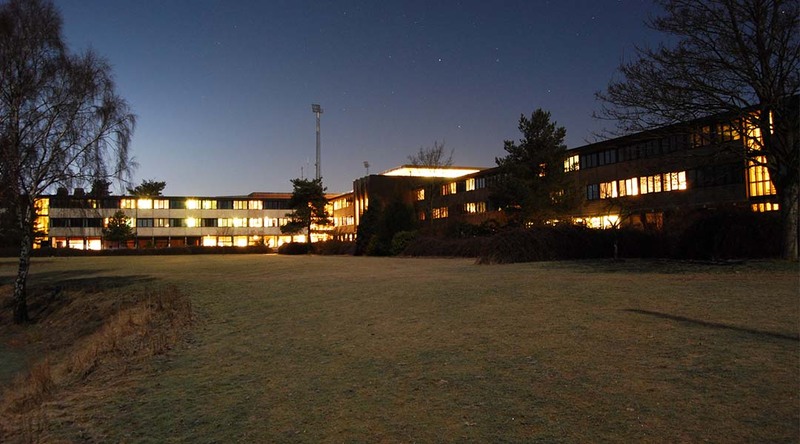 Silkeborg Højskole was founded by FDF, a children’s and youth organisation based upon the Danish established church, so the Christian view of life is part of our school. A Danish folk high school is an adult boarding school, and it is a place where you involve yourself strongly in a social fellowship and encounter committed and highly skilled teachers. At Silkeborg Højskole we thus have professional teaching but no exams. A stay here will offer you a chance to be together and to get absorbed in a number of the fundamental aspects of life. As a student here, you will experience 24 hours’ concentrated unfolding of life. Our long-term courses last 3, 5 or 9 months, and besides six main subjects, you have the opportunity of choosing between another approx. 30 different subjects. The students make up their own timetable following their own individual interests and needs. At our high school you will meet possibilities and challenges, and we offer many fine facilities for learning for instance a swimming pool, sports hall, lecture hall, music hall, recording studios and a canoe and kayak centre. Please feel free to contact us if you have any questions or want to know more about for instance financial support, residence permit etc.